Road Trip to Bhutan from Mumbai in October 2018. This was clicked on our Road trip to Bhutan from Mumbai in October 2018. 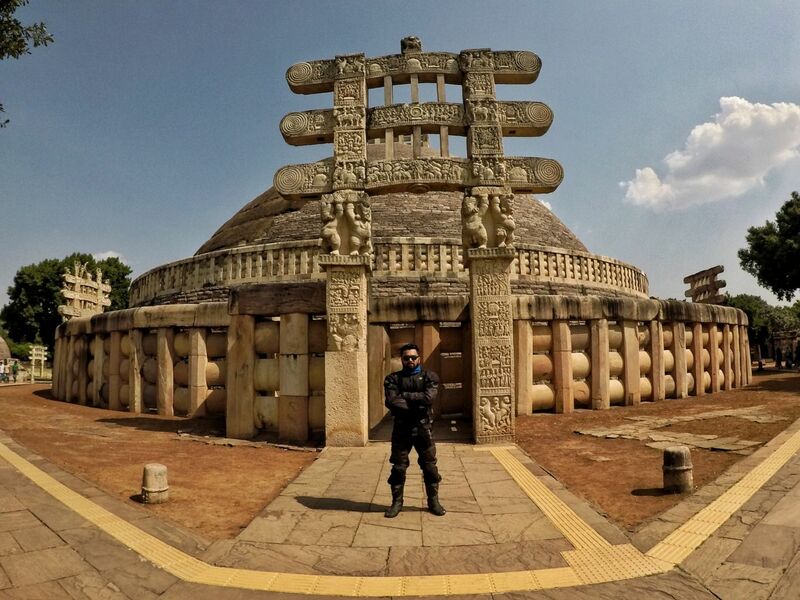 We started from Mumbai on 18th October morning, and after riding for 900kms in extreme heat we reached Sanchi at Night. Next day we Visited the famous Stupa.